Civil Service Day is annually observed in Thailand on April 1. The holiday celebrates the anniversary of enactment of the first Civil Service Act in 1929. King Prajadhipok, or Rama VII, enacted the Civil Service Act on April 1, 1929. His act governed the entire Thai bureaucratic system and laid down the foundation for the modern administrative system of Thailand. The first celebration of Civil Service Act enactment was held on its 50th anniversary, in 1979. That year numerous government agencies organized Civil Service Week, that was celebrated from April 1 to 7. This great event made a step toward the creation and celebration of Civil Service Day, that commemorates King Prajadhipok and his contributions to modern administration system of Thailand. 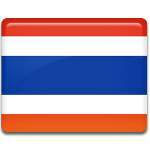 Every year Thai governmental agencies take turn to host and organize a special fair. The annual fairs include thematic exhibitions, a bazaar of local products and many other services. The Prime Minister often presents special awards to outstanding civil servants.